Now solutions hyaluronic acid firming serum - Do You Speak Gossip?Do You Speak Gossip? 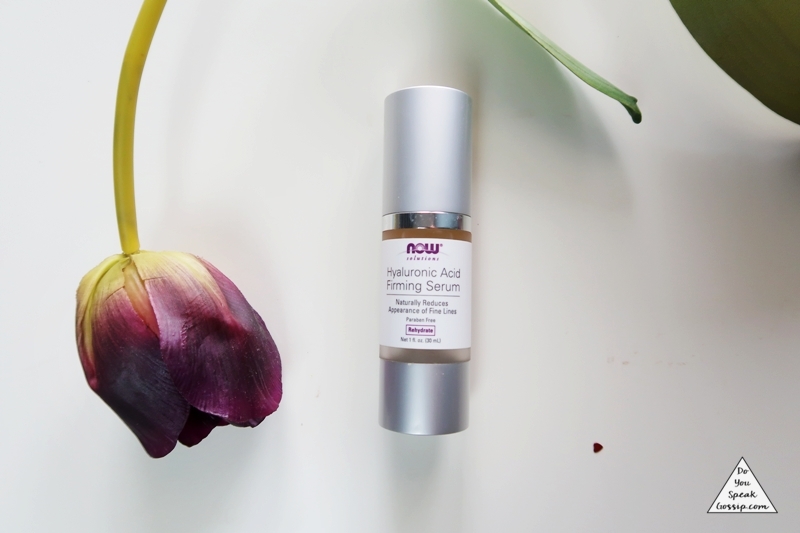 I’ve been trying this firming Serum for the past few months, and it’s almost at its last “drops”, so I thought it is finally time to review it here on the blog. To be honest I thought I’ve already done so, but it seems that I didn’t. When I first tried out this serum, I found it amazing. It has a beautiful citrus-like scent, that’s very pleasant, it has a gel consistency, and a nice pump applicator, that reveals how much product is left when looking at it from the side. One pump is enough to cover your face, it’s very lightweight on the skin, gets easily absorbed, and prepares the skin for the night or day cream you use on the next step. I didn’t notice any firmness factor, but I did like how it made my skin look and feel. After some weeks, that wasn’t as obvious as it was when I first started using it. It still smells amazing etc. but doesn’t work as good on my skin as it did before. Moreover, I feel like it emptied very quickly compared to the other serums I’ve used in the past. I wouldn’t mind buying it again, but I think that La Roche Posay’s serum was much better for my skin. I give it 4/5 stars.